This past weekend I enjoyed not only the company of a good friend but also the beauty of autumn, in what can only be described as the perfect place for leaf peeping -Letchworth State Park in Castile, New York. 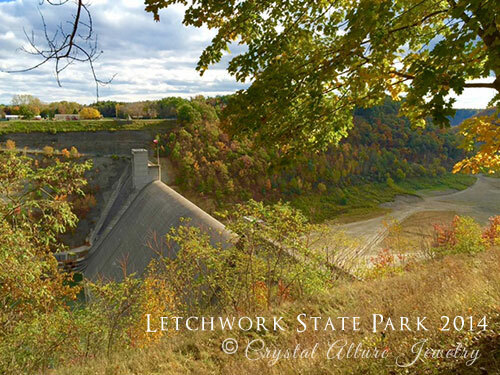 Columbus Day weekend is traditionally when the annual Arts and Crafts Show is held at Letchworth. It's a great event to kick start your holiday shopping with over 300 vendors. We should have left a little earlier for this short trip because we were only there a couple of hours and didn't even get to see all the vendors. Now that's a shame! Lol. It's nice sometimes to be a shopper at a craft show, rather than a vendor. I love to see all the great handmade items these talented artists create. 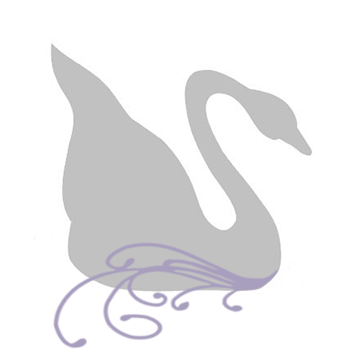 The crafts are amazing and I truly love that they are all handcrafted, it makes any purchase I do make even better. Adorable black cat artwork from The Cranky Cat Collection by Cynthia Schmidt. I just love that fluffy black cat!!. Felted purses, cowls and mittens from recycled materials from Trendy Wendy Handbags by Wendy Stout, In fact, I did purchase a pair of super warm wool mittens from Wendy. Although my skin can't handle wool to well, the beauty of these mittens were the wool was on the outside and soft, fleece was the inside of the mitten -perfect! Laura Regatuso of Snowflakes and Flowers creates absolutely stunning artwork and crafts using the method of quilling. Her intricate designs are just amazing! I'll be getting in touch with her as I saw a few things I wanted to get as Christmas gifts. Update: Since this introduction, I had contacted Laura about a product I wished to purchase and unfortunately, have learned their customer service is not so great. I've decided not to purchase from them. There were some fabulous glass artists, as well. But sadly, I didn't grab their business card and wish I did because they had beautiful glass pumpkins (and I love pumpkins!). It was a day well spent with a great friend and we closed the day with a meal from my fav restaurant near her house -actually it was breakfast for dinner. Does anyone else do this (eat breakfast for dinner)?